Tongaat Hulett has embarked on a new chapter in its land conversion activities with the appointment of Savills (UK) in association with 5th Avenue and the Pam Golding Properties Group to launch Sibaya Nodes 1 and 5 real estate opportunities to an international market. While a total of five nodes make up the first phases of the mixed-use Sibaya development, nodes 1 and 5 are being prepared for marketing within the next few months. Node One consists of 50 developable hectares and is located east of the M4 and Sibaya Casino. 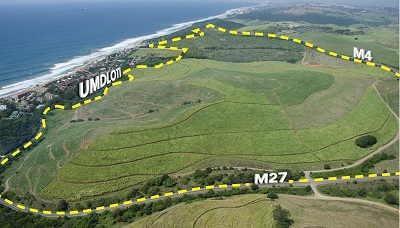 Node Five comprises 76 developable hectares and is situated immediately north of Node One and bordered by the M4, the M37 to the north and the coastal town of Umdloti to the east. 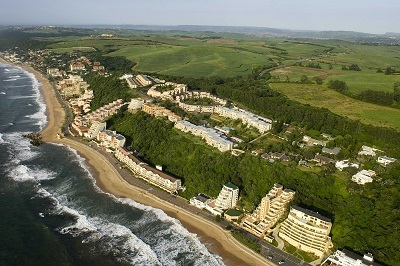 The appointment of international real estate services provider, Savills, to market the two properties highlights the potential that this unique landholding offers. With global headquarters in London, LSE-listed Savills, together with 5th Avenue and Pam Golding, offers a leading, global platform for the launch of this unique property. In the fast-growing and well-established northern development corridor of Durban, boasting 180° sea views, a backdrop to extensive natural coastal forests and within easy reach of the King Shaka International Airport, the development possibilities for these two Sibaya nodes include major new resorts in conjunction with lifestyle residential accommodation, upmarket offices and developments suited to the leisure and hospitality industry. Hotels, conference and entertainment facilities, retail and recreation facilities would complete the picture. “Tongaat Hulett envisages Sibaya as a unique play-live-work lifestyle that is based on bringing together the best of both urban and natural environments. These opportunities lend themselves to organisations possessing global expertise and bold vision to maximise their enormous potential,” notes Mike Deighton, Tongaat Hulett’s executive responsible for property development. “The Sibaya site provides an opportunity to deliver a new destination for Durban to attract international investors, hotel operators and businesses. Savills are delighted and privileged to be partnering with Tongaat Hulett in helping shape the future of the region and attract global investors,” he said.